Transform your grass into a Springlawn - easy to manage and maintain. Scroll down to see how it was before! Our customers choose us because they want a grass solution that looks so real most people cannot tell the difference, is affordable and needs very little maintenance. 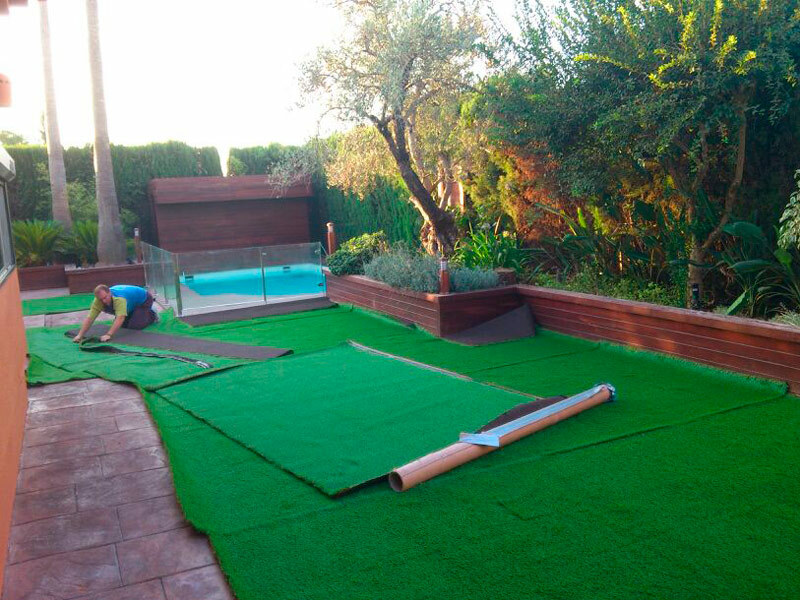 Our range of next generation synthetic grass will save you time, money, effort and hassle. We supply a wide and varied range of artificial surfaces to suit all budgets and our network of installation partners not only install the grass but can complete all the landscaping and finishing work to turn your vision into reality at a price you can afford so you can enjoy it for years to come. Email info@springlawn.co.uk or call 01738 584120. Cold, wet, rain or sun, let them enjoy the fresh air outside, just like you used to!! Don't give the kids a reason to stay indoors and play computer games. 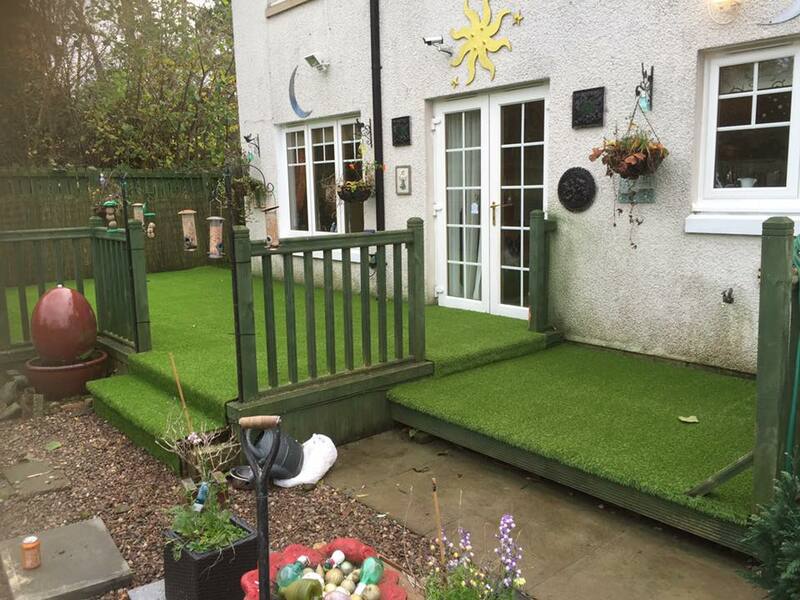 With a Springlawn you will have no more grass or mud trailed in the house! No more green grass stains on clothing! No worn out sections between the football posts, bald patches underneath the trampoline or swing. The pets will love it too AND its easier to clean up after them! Bring your slippery old decking back to life with Springlawn artificial grass. Cover up the old wooden boards with a new soft grass surface that is a pleasure to walk on at anytime. Whatever the weather you can enjoy your decking any time of the year. 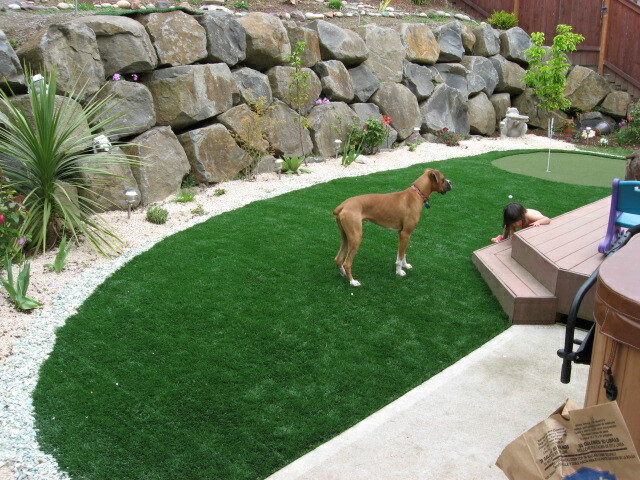 Look after your OWN play area too with Springlawn grass around your hot tub or pool. A soft & safe surface will help you move all the quicker to and from the house to the tub, without the transfer of grass clippings of dirt.